ISLAMABAD: Pakistan has expressed serious concern over the relentless killing, maiming, unlawful arrests and torture innocent civilians by Indian forces in occupied Kashmir, pointing out that 33 people have been killed by the Indian Army in June alone. In a weekly briefing here on Thursday, Foreign Office (FO) spokesperson Muhammad Faisal reiterated the demand for the immediate establishment of an Inquiry Commission to assess the human rights situation in the region and said that the recommendations of the Office of the United Nations High Commissioner for Human Rights (OHCHR) need to be implemented without delay. He said the Indian occupation forces continue to kill innocent defenceless Kashmiris with impunity. He said in June thirty – three (33) Kashmiris were martyred and at least 236 injured. Out of these, 7 youth were killed in a fake encounter in Kupwara. Faisal said those martyred included three widowed women and four children. Muhammad Faisal said the last week was equally traumatic and tragic for Kashmiris in IoK and said the bloodthirsty Indian army and paramilitary forces killed 14-years young boy, Faizan Ahmad Khan. He said the event was all the more tragic as the hospital doctor who declared Faizan dead happened to be Faizan’s own father. “It is time for the international community to move beyond political and economic expediencies and fulfil its promises to the Kashmiri people, as per UN’s Security Council Resolutions,” the spokesman said. 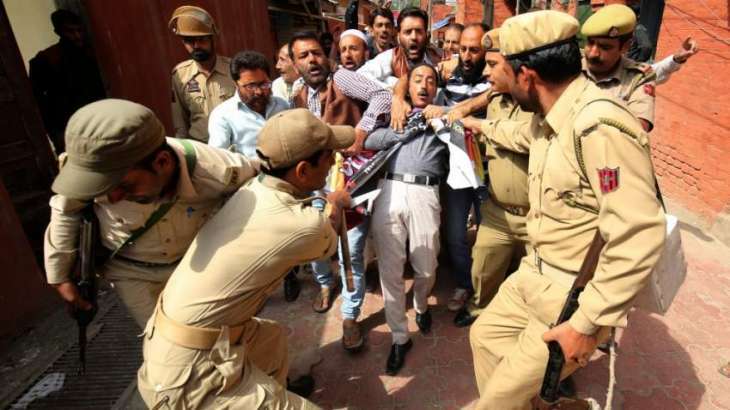 Mohammad Faisal said the UN report had categorically focused on the Indian atrocities in IoK and explicitly underscored India’s obligation to fulfil its commitment to International Human Rights Law and International Humanitarian Law, as well as, to halt the human sufferings in Indian occupied Jammu and Kashmir. He said Pakistan’s engagement with and support to the UN were a key pillar of its foreign policy. The foreign minister also recalled Pakistan’s longstanding partnership with and contributions to the UN, especially in several of its peacekeeping missions across the world. The spokesman also extended heartfelt condolences to the bereaved family of Zainab, a young Pakistani who was undergoing treatment in India and breathed her last on Tuesday 3 July in an Indian hospital. “May Allah give them the courage to bear this loss with fortitude,” he said.